Some good stuff here. Thanks. Good post! Lots of information in here to digest. I agree with your last statement, Lord Jesus come! The statistics you quote reveal that groups of Christians under 50 are growing, as are those over 2,000. One reason is simply economics. 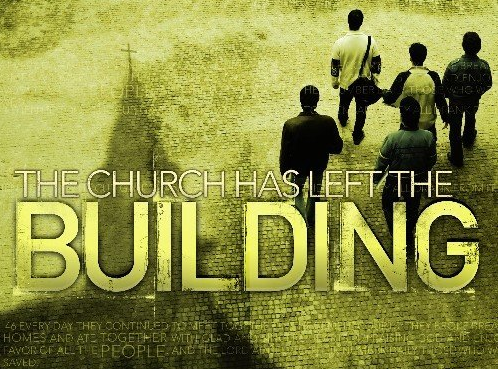 The bigger “churches” can afford it, and the smaller cannot. But the biggest reason is because home groups allow for greater development of the believer. No one can hide. Everyone is welcomed and love. Everyone can be heard. I have been studying this and writing about it for many years and could see the wave of the future. Not only that, I spent decades in traditional churches and most do not satisfy, are boring, and disallow real discipleship. It is interesting that real Christianity in America is growing, and is growing more vibrant, while church buildings are closing. Out with the old and in with the new wineskins. The Great Awakening in America that is now in its early stages is happening because the Lord’s people are now more free of conventional and traditional formats and restraints that ever before and as a result are much more knowledgeable and mature. And this is happening all over the world. Governments are generally not afraid of small groups, because there is no way, according to their thinking, that small groups cannot be controlled and can never unite even if many exist—unless it is by God’s Holy Spirit, which ungodly governments refuse to acknowledge or cannot perceive. They also do not understand that the more they persecute the more the community of the Lord grows.